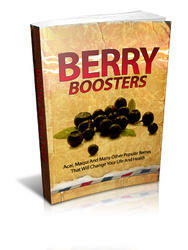 The balance between sugar and acid in a grape berry determines its palatability. Though the timing of commercial table grape harvests may be guided by measurements of sugar and acid levels in the fruit, often the start of harvest of table grapes will simply be a matter of deciding when the grapes taste good. Grapes do not ripen off the vine, so their quality can only go down after picking. Picking too early may jeopardize your market. Picking too late may cause a loss of early market opportunity and often reduces the storage life of the fruit. It can be helpful to have someone other than the grower taste the grapes to determine the start of harvest. Develop an organized plan for harvesting. Table grapes are either harvested into field lugs for repacking or picked directly into market packaging. Whatever containers are used, distribute them in the vineyard so they are readily available to pickers. Their time should be totally dedicated to picking. Picking shears should be kept clean and well lubricated. Picking stands, which allow pickers to carefully place clusters in containers without bending over, may be specialized to include built-in weigh scales (Zabadal et al., 1988). Hobbyists may simply use a gardening cart or a little red wagon. Profitability from growing table grapes is often closely linked to harvesting efficiency. Maintain accessible row middles that are neither muddy from recent cultivations nor unmowed. Train and shoot position vines to expose fruit in structured fruiting zones so pickers don't have to hunt for clusters randomly scattered throughout the trellis. Grow clean, uniformly ripe fruit so the picker can pack a high percentage of quality clusters without time-consuming effort to trim away defects. Table grape harvesting in warm climates typically begins in the early morning so the fruit is picked as cool as possible. It is then quickly transported to cold storage facilities. Harvesting early in the day is also a good practice in a temperate climate. If the fruit is wet with dew, however, wait until it dries before picking to avoid storage problems. How to harvest table grapes? When to harvest grape charts? When are table grapes harvested? When to pick table grapes? How to harvest table grape? What month are table grapes harvested? How are table grapes picked? 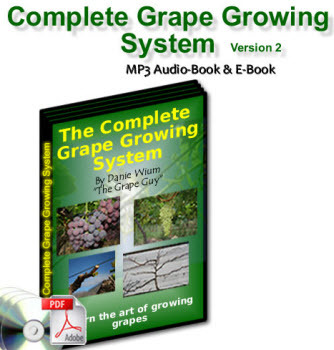 CAN YOU HARVEST TABLE GRAPES MECHANICALLY? Does the climate and timing of grape picking matter? How are grapes commercially harvested?